(December 11, 2014, Toronto, ON) Increasingly, Canadian consumers are giving more thought to purchasing environmentally friendly gifts. This holiday season, whether it’s by way of the packaging, manufacturing or construction, these products are proving to be ever more popular for today’s consumers. Despite increasing awareness of the impacts of waste on the environment, many are unaware what they can do to reduce their carbon footprint. Giving the gift of SodaStream enables consumers to actively reduce their carbon footprint without going out of their way to do so. SodaStream sparkling water makers reduce their impact on the environment by cutting down on the emissions generated by electrical plants in addition to the reduced waste associated with making sparkling water at home. According to the Earth Policy Institute, bottled water is often no healthier than tap water and it can cost up to 10,000 times more per litre due factors such as long-distance transportation. Using your local tap water and converting it into sparkling water or flavoured sparkling water is one of the most environmentally friendly ways of making your water more exciting. SodaStream sparkling water makers are highly energy-efficient, small appliances which function without batteries. Because of this, they are ideal for modern kitchens due to their compact size and their ability to operate without an electrical outlet. This holiday season, consider giving the gift of SodaStream--it is the easiest and most cost-effective way to consume sparkling water. SodaStream’s new sparking water makers and line of flavours are sure to contribute to big festive cheers while only producing a fraction of the carbon footprint. To learn more about the environmental attributes of SodaStream sparkling water makers, check out our Environmental Fact Sheet. For more information or to schedule interviews, contact Greg Kourtoff, SodaStream Canada: (416) 972-7404 or gkourtoff@ecostrategy.ca. 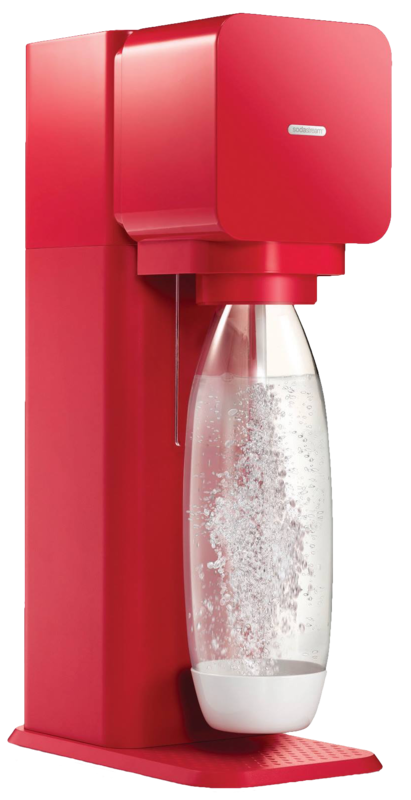 SodaStream is the world’s leading manufacturer and distributor of home beverage carbonation systems which enable consumers to easily transform ordinary tap water instantly into sparkling water and flavoured sparkling water drinks. Home Carbonation Systems offer a highly differentiated and innovative solution to consumers of bottled and canned carbonated soft drinks and sparkling water. Our products are environmentally friendly, cost effective, promote health and wellness, and are customizable and fun to use. In addition, our products offer convenience by eliminating the need to carry bottles home from the supermarket, to store bottles at home or to regularly dispose of empty bottles. Our products are available at more than 65,000 retail stores in 45 countries around the world. For more information, visit http://www.sodastream.ca.